as we explore some of the most beautiful islands of the Caribbean! ITINERARY: Ports of call include Miami (Florida), San Juan (Puerto Rico), Philipsburg (St Maartin), Basseterre (St. Kitts), and three days at sea. DANCE CLASSES & GROUP ACTIVITIES: Group classes include eight morning workshops in a variety of swing, social, ballroom, and latin styles. Activities include afternoon & evening dances; a group outing in San Juan to one of Puerto Rico's top salsa clubs; fun non-dance programing; opportunities for "holistic dance & wellness" education and discussion (a new medical field pioneered by Ari), and more! 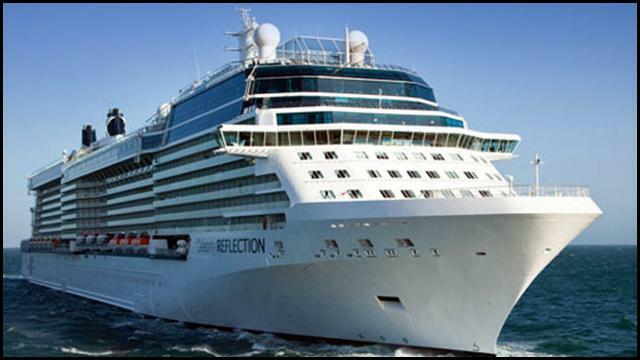 THE CELEBRITY REFLECTION: The newest, most beautiful "Solstace" class ship in the award-winning Celebrity fleet, the Reflection was inaugurated in Oct, 2012, and will spend only six months in the Western Hemisphere. Our trip will be her last North American cruise before repositioning to Europe, so be sure to get your tickets early as it promises to be quite popular and will undoubtedly sell out soon! --> IT'S ALL TOP SHELF! : You'll get world-class dance instruction during the day, with many more opportunities for one-on-one coaching, dancing, socializing, and mingling during the afternoons and evenings. Add to this the ship's own special amenities and many available activities such as the fitness center, spa, pools, live music, sports, golf, theater, lectures, shows, entertainment, and more, as well as the comfort of the ship's 5-star hotel and dining facilities, and you've got yourself one incredible week in paradise! --> A BRAND NEW SHIP WITH A SPECIAL DANCE-DEDICATED BALLROOM! 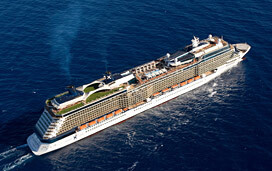 : In the cruise industry, you should always try to book onto the newest ships. That's because cruise companies put all of their best resources (entertainment, staff, amenities, crew, etc) on their newest ships in order to get the highest ratings and draw. Ladies & gentlemen, this is the newest ship on the market of any cruise company! And not only is it new, it has a specially built ballroom designed for the European market -- something you typically won't find on cruise ships in American waters! 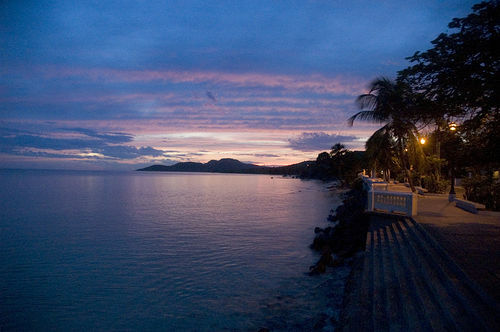 --> A GREAT ITINERARY, WITH A SPECIAL GROUP-ONLY NIGHT OUT IN SAN JUAN! : We'll visit Miami, San Juan, St Maartin, St Kitts, and enjoy three days at sea. Sea days are frequently a cruise passengers favorite - they're wonderfully relaxing (or as busy as you want to make them), with opportunities to take advantage of everything the ship has to offer. We'll do most of our dance classes and privates during the sea days. In San Juan (Puerto Rico), you'll have a chance to explore the beautiful old city on your own by day, then join the group in the evening for a special outing to one of the city's great salsa clubs with live music and entertainment. We'll meet at the ship. Transportation and club admission are covered by us. --> IT'S A DANCE ADVENTURE, TAILORED TO YOU! 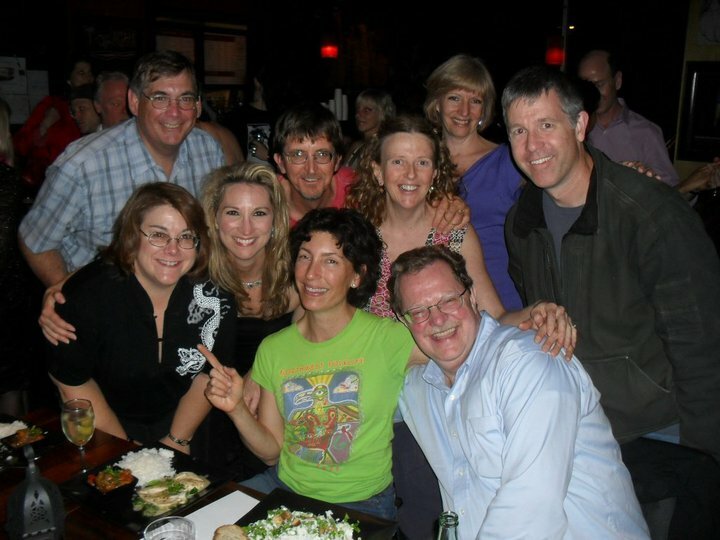 : You'll meet people from all over the USA and abroad, form great memories, and make lasting connections. We'll have games, mixers, special discussions, and plenty of non-dancing social activities planned, with lots of room for spontaneity, improvisation, and your input in our activities. As for dancing, classes will move swiftly, and we'll really be able to take advantage of the many opportunities the ship provides for music and dance, all this while at play with a fun group of fellow dance-enthusiasts! Where does the ship leave from and how do I get there? The ship leaves from the port of Miami. You would need to arrange your own travel to the port which is very accessible from the Miami or Fort Lauderdale airports. There are many shuttles and taxi's available throughout the region. If I am single and would like to share a room, how can I find other participants who would like to do the same? If you are interested in connecting with other single participants who would be interested in sharing a cabin, please send your contact information (name, email, phone number, and any specific requests or conditions) to Rosie at Best Connection Travel and she will be more than happy to help arrange room sharing for you. You can reach Rosie at (410) 224-4555 or at rosie@bestconnectiontravel.com. When do I need to have my down payment submitted by? Down payments were due on December 15th, 2012 for guarenteed room rates. However, there are still spaces available and great deals on rooms. Call Rosie for details. What is included in the price? What additional charges/fee's should I anticipate? 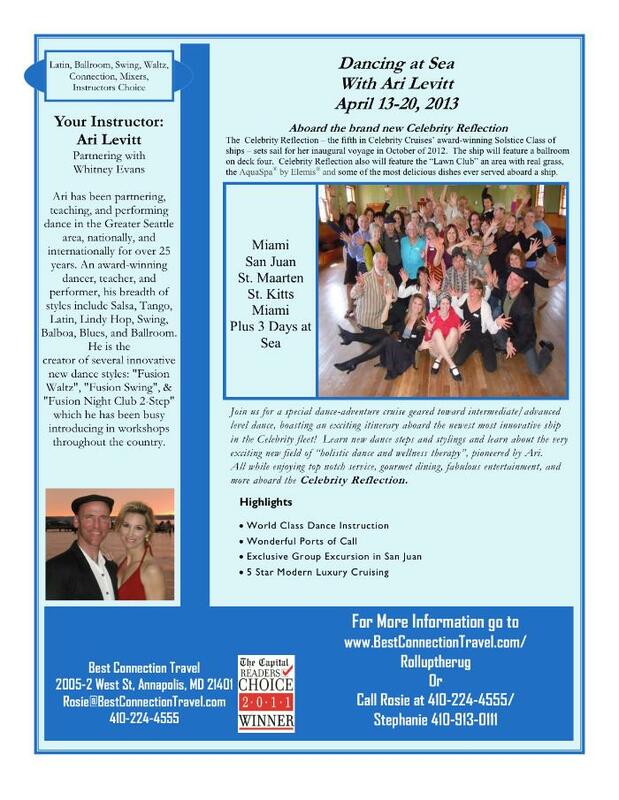 The price includes your cruise, port taxes, dance workshops, and the group excursion in Puerto Rico. It does not include tips, transportation, or incidentals. Are prices guaranteed? Yes, but only through Dec 15th, 2012. What is the refund policy? The deposit is refundable until January 27th, 2013. Anyone canceling after that date will lose their deposit. What is the typical day's dance schedule? Dance workshops will take place from 10am-noon during the three days at sea, and on the third morning when we don't dock until the 3pm (8 classes in all). The schedule will allow you to fully take advantage of all of the ship's activities and amenities during the rest of the day. There will be plenty of music and dancing in the afternoons and evenings, as well as opportunities for more informal gatherings and "tune-up" lessons. What kinds of dance classes will be offered? Specific workshops topics will be decided closer to the sailing date (and on the ship) in order to best tailor the lessons to the group's abilities and interests. Styles will be selected from among swing, latin (salsa, cha cha, merengue, rhumba), ballroom (waltz, foxtrot, etc), night club 2-step, 1-step, blues, and fusion. We can be fairly flexible with how all of this is set up. Will there be opportunities for private lessons? Yes, these can be arranged individually with Ari or Whitney onboard the ship or beforehand by email. What level will the dance classes be geared toward and what will be their focus. Group classes will be geared toward the adv-beginner/intermediate level dancer (ie: you should be comfortable with beginning level dance steps, connection, and framework, and be ready to move forward from there). If you still consider yourself a novice dancer, not to worry. 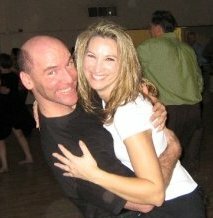 You have plenty of time between now and April to sign up for some local partner dance classes and get ramped up! (I would recommend classes in swing, salsa, latin, or ballroom, although just about any kind of social partner dance would be fine). The class format will be very much geared toward fun, playful social partner dancing, which is to say that we will not be focussing on performance choreography, competition styling, or line-dancing. In each workshop, we'll start by laying the groundwork for strong partnering foundations, imparting a clear understanding of how connection, framework, and energy can be utilized to create playful movement and improvisations, and reviewing basic steps and combinations. On top of this we build a wide-ranging repertoire of fun moves and variations. Formal attire: For men this might include either a jacket & tie, a suit & tie, or a tuxedo; and an evening dress or gown for women. Informal attire: For men this might include shirt, jacket, and slacks; and a summer dress, or slacks & blouse for women. Casual attire: This is fairly flexible, though the ship does request that you not wear shorts or jeans. What travel documents will I need? As per all international travel, you will need to bring a current passport from your country of citizenship. A driver's license is also recommended. No special visas or further documentation will be required for US citizens in these ports-of-call. Do I need any special immunizations for international travel? While you should make sure that your regular shots are up-to-date, no special immunizations are needed for travel to these ports. Dining Hours: 6:15 p.m. & 8:30 p.m. Dining Room Dress Code: 7-night cruise: 2 formal nights, 2 informal nights, 3 casual nights. No shorts or jeans at night.